You are about to learn about a hilarious book full of pure unadulterated fun. Fun that you can have with ... words! But before I tell you about it, I have something to admit. For the past ten days, I faced a super duper problem. Someone recommended this fabulous book to me almost a year ago, yet I seemed to have suffered from a brain drain. I could not remember who told me about Double Trouble in Walla Walla. My little grey cells were going cuckoo. There was no way this review could be written without thanking the person who brought the book to my attention. But who was the person who told me about this little gem? Before we find out, let us go back to February 2011 when I first learned about this bubble gummy picture book. Immediately after I received that book tip - Double Trouble in Walla Walla went straight on my "to buy" list. I loved what I saw from the book preview online - what a colorful picture book! What an unforgetable title! But even more exciting was the text. A fabulous tongue-in-cheek game with rhyming "silly" words that are used in day-to-day conversation. Fun with words - is there anything better to bring out the smiles? Week after week it stared at me from that list. The more I looked at it, the more my defenses crumbled. Just take a peek at this little gem with cartoony-like characters. It is a big gem - as the book is 13.4 x 9.2 inches. A smashing size for reading aloud! Then I ordered. I was so excited! My kids would be all hippity-hoppity when they saw it! But I was feeling like a nit-wit, I couldn't remember who originally recommended it. Searching through the Read Aloud Dad blog comments didn't reveal the name, as I had changed my blog commenting system less tha a year ago. I discovered who was my mysterious palsy walsy! Walla Walla is a town in Washington state that is famous not only for its name, but also for its slogan. Walla Walla is also the perfect setting for this story. Don't worry, it's not a weird story. No, there is nothing voodoo-like taking place in Walla Walla. It was a completely ordinary morning in Walla Walla - until a little girl named Lulu raised her hand in class. Lulu - a fiery red-headed girl who creates havoc from seemingly nowhere. Lulu informs her teacher Mrs. Bell that she feels like a nit-wit as her homework is all higgledy-piggledy. "Last night it was in tip-top shape, but now it's a big mish-mash. Mrs. Bell said, "Nit-wit? Higgledy-piggledy? Mish-mash? Lulu, stop that flip-flop chitter-chatter or you'll be in double trouble!" From there on, Mrs. Bell takes Lulu to the Principal, but Lulu somehow gets the tongues of the principal and her teacher all topsy-turvy too! After pitter-pattering to the school nurse's office, all four of them discover they are in a true hodge-podge and they start yak-yaking like Lulu. In a bid to discover how the entire mess started, the adults ask Lulu how did all the mumbo jumbo start as they know that something like this could not start willy nilly. Lulu thinks extra hard what hapenned a day earlier, but the only thing she remembers was that it was a rather humdrum day. After Lulu's teacher, principal and nurse conclude that Lulu opened a knock'em sock'em wibble wobble word warp they all agree to say all the rootin' tootin' wooly-bully words they can think off! My kids were shocked with what followed ... and I was too! It is simply too big for words. The first four or five times I read the book aloud, I was unable to read it all through! But I will not tell you why! What is certain is that you will be reading in circles and circles until your head is spinning - literally! My best friend is the man who'll get me a book I ain't read. Holy Moly, suddenly I remembered. A copy of all the comments on my blog were still in my email Inbox. She left a comment after my post about The Seven Silly Eaters (a yummy-yummy read aloud) in February 2011. This [The Seven Silly Eaters] is such a great book! I'm glad to see you giving it some additional exposure. On an unrelated note, are you familiar with the book "Double Trouble in Walla Walla"? We got it from the library and all had so much fun with it that I've purchased our own copy. You and your kids might enjoy it too. You have given me a veritable gold mine of fun words to share with my kids! Read Aloud Dad was a lucky ducky. There is no other book like this one, I can assure you. 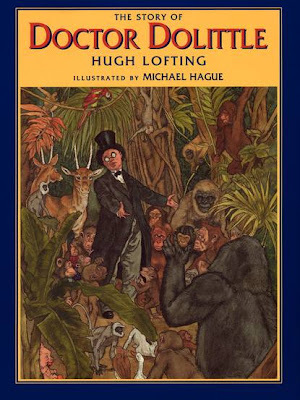 If you have an enormous collection of children's books and you are a read aloud parent, I am certain that you don't have something like this tongue-twisting book in your collection. Try to read it aloud from cover to cover ... and you will find out what I mean. How fun! Truly no acknowledgment was needed that I had recommended this book, but you were remarkably kind to track down my comment and find my name anyway. You have alerted me to so many great titles since you started your blog, that I'm delighted to have steered you to one that you're enjoying. Thanks for all you're doing to promote reading aloud and to highlight great books! Thanks, RAD. I might give this a shot with my 3yo, who is fascinated by word play -- doubles, rhymes, alliteration, etc. Of course it was needed! You made our home library sooo much richer with a read-aloud gem like Double Trouble in Walla Walla! It is fabulous and I would not have come across it on my own. That is sure. I will be free to share another of your book recommendations with my readers, as I - for one - will check it out ASAP: Mary Had a Little Lamp by Jack Lechner (preview: http://amzn.to/AoypEB ). Thanks Kimberly - love your book tips! And although you may think that no one knows your secret ... we do. You are a .... Read Aloud Mom! I am certain he will love it! It is a book that does not wear off its charm... I can see us reading it for many more years. Please do tell us your impressions if you do read it. I'd love to know did you both enjoy it! All the best in 2012 to a fellow Read Aloud Dad! What a fun book! Thanks for the heads up. Must get my hands on it. My son will LOVE it. We love silly books! Cool! I am so happy to know that you will have some fun with these zany book! I can vouch that your son is in for a surprise! If you have the time, after you read it, please do share your impressions. I did not know that Andrew Clements wrote picture books! (Should I have known that?) My son enjoys reading his chapter books. I will definitely have to look for this next time I'm at the library. This book looks like it hits all the right spots! I'm putting it straight on my 'to buy' list for next month's book buy! Thanks RAD! Would you believe, I was surprised about the same thing too! I didn't even connect it in my head - until I was leafing through Frindle one day and ... boom! It hit me! This is the same Andrew Clements! We haven't read a Clements chapter book aloud yet, but I am sure they are tons of fun as read alouds. Thanks for your comment! Andrew Clements is a really great choice for kids! Thanks so much for letting me know you liked the review/book! Please do tell me how did you enjoy it, if you end up getting it! My kids, for example, were really surprised the first 3-4 times we read it ... They were even a bit confused, as we never read a book like Double Trouble... then ... when the words sank in, the playfulness of the words caught on.. it became like a new treasure! Have a fun time reading it aloud! I wanna buy this book,, but I don't know how to get this.. can u tell me? I did not know that Andrew Clements has a picture book. Good think I have Read Aloud Dad to keep me informed. We've enjoyed his chapter books as read alouds, so I can't wait to read this one. Thanks for sharing your post at The Children's Bookshelf. I am so glad that you will try out this book - it is a vocabulary bonanza, so be ready - your head will start spinning. We haven't ready Andrew Clements's chapter books aloud yet (we have them in our home library), but they are probably pretty different from this one - hope you will not be disappointed! I am so happy to have discovered the Children's Bookshelf! Looking forward to read many of the posts this weekend!